So I was proud to be part of these famous team! 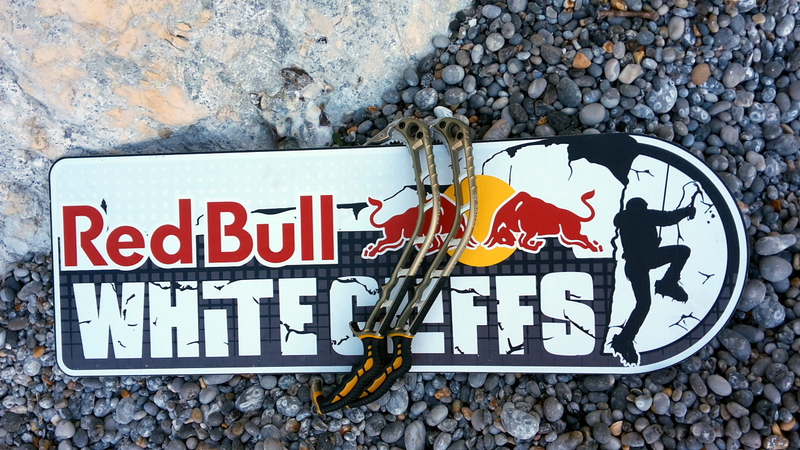 All the best athletes in the world invited to the Red Bull White Cliff competition. 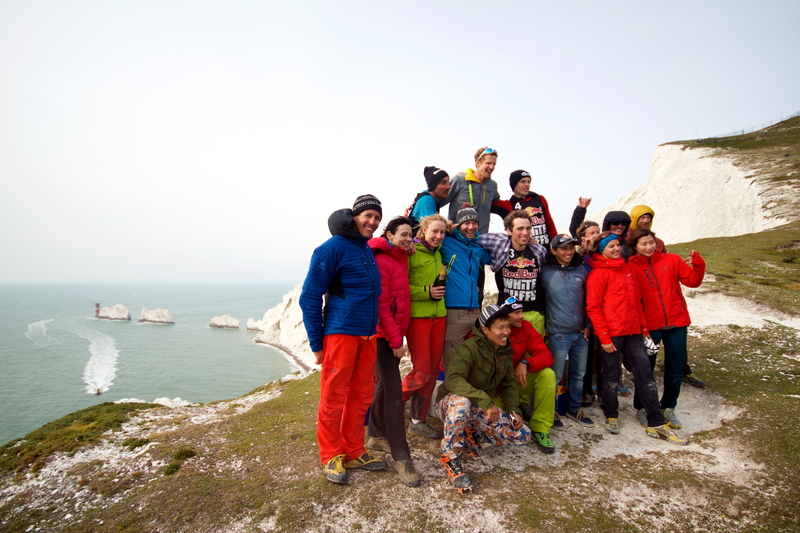 The aim of this competition was to climb in a single pitch the 100m overhanging chalk cliff as fast as possible. 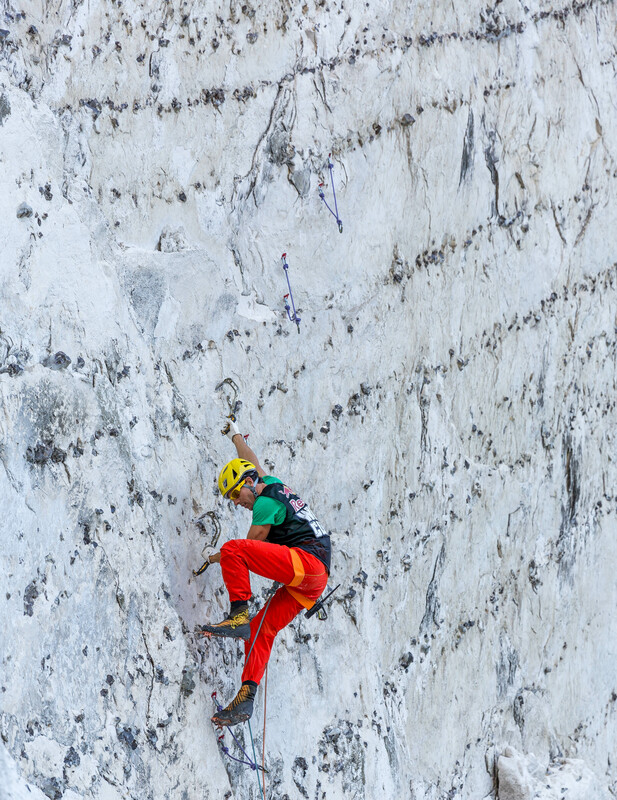 It is pretty unique to climb on chalk, especially leading on this soft rock, never seen in the world before. The protection was built on two pitons linked by a rope with a carabiner and we were climbing with double ropes, very heavy at the end carrying 100m of rope (almost 10Kg). 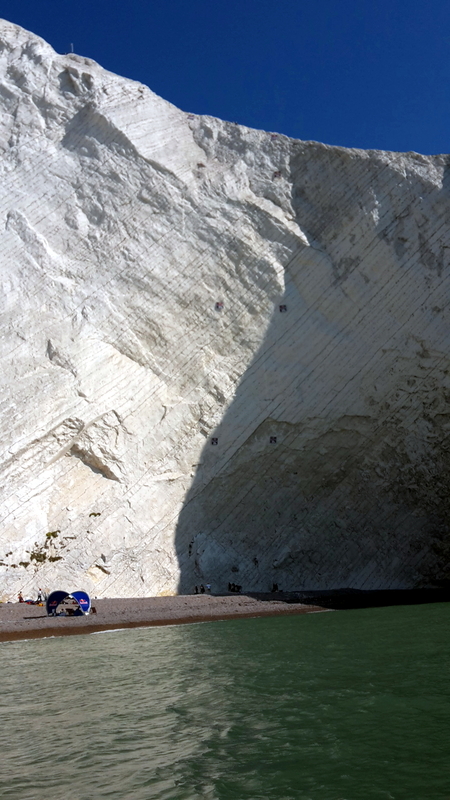 The impressive 100m chalk wall, vertical left route for the females, overhanging right route for the males. The first 30m were very overhanging and powerful, then very sustaining until the end. The moves were not so long, the challenge was to keep moving on 100m while staying not so pumped. 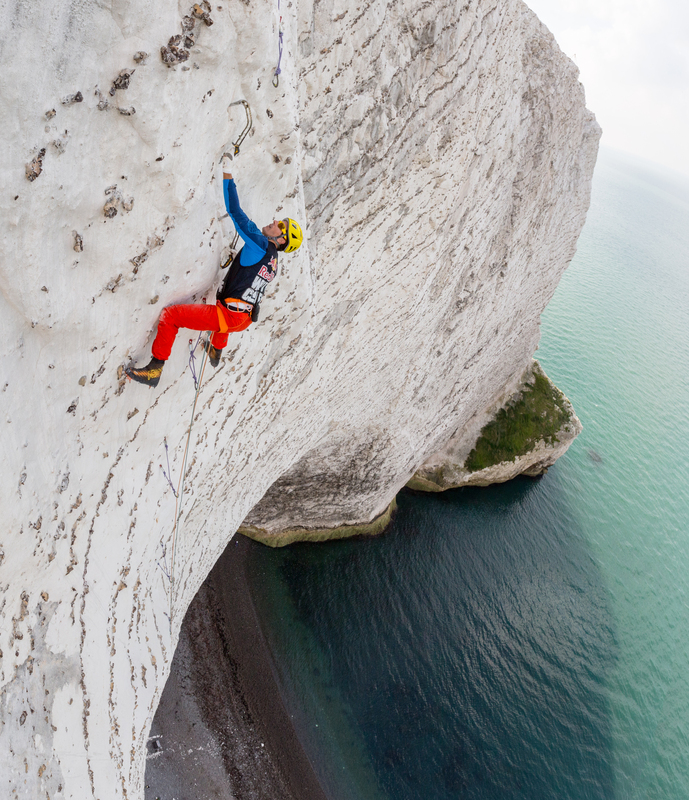 The trickiest part was to find enough good feet holds, sometime kicking on the chalk or grabbing little edges. Otherwise if your foot hold breaks and if you are too pumped, you could fall! It was so awesome to lead on such a high wall, an experience of a lifetime. 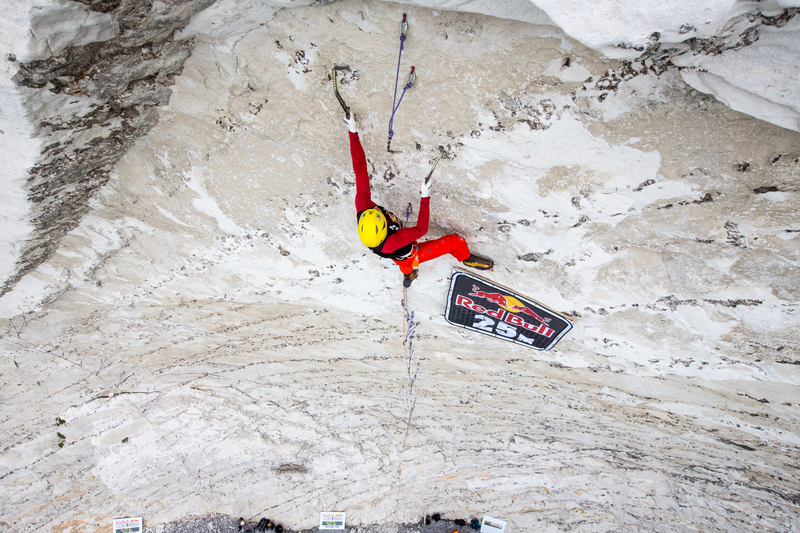 The competition started after a practice day, 35min maximum to top this route out on sight. I made the 2nd time (29 minutes) while we were only 5 to top out, too scary and tricky… The qualification was on the 30 first meters, the 8 fastest go to the final. I made the fastest time in 5’30s, 30s faster than Jeff my mentor. So everything was on my side for the final the day after. So I was first and had the choice to start first the final round or to finish latest. I choose to start first to climb in the morning avoiding the warm sun. I knew it would be tough for me to be fast because I can’t run since 3 years now, no more endurance, finished 7th… Anyway I managed to go 6 minutes faster than my first run, very happy to top out without falling! I wanted to do it again just for fun! 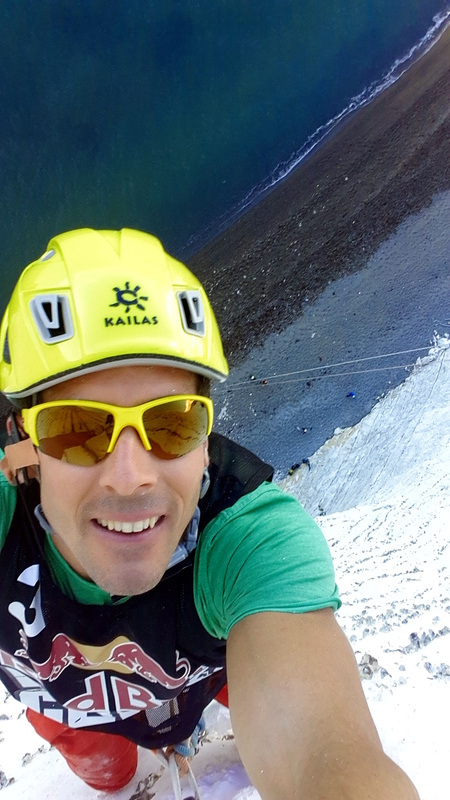 a mandatory stop for a selfie at 60m during the practice. And the Jeff’s video to sum up! Figure 6 : The first part to the roof for the qualification.